My Most Common Writing Mistake. The worst writing mistake I make is moving from present to past tense throughout my manuscripts. In the beginning, I'd go back and fix it with every scene and it bogged down my writing time. I've recently begun proofreading by chapter, editing the tense and other errors I find. If I had a penny for every time I made this mistake, I'd be a rich woman. I've made this same mistake since I can first remember. I still have papers from my high school creative writing class where the teacher pointed it out. Then in college, I struggled with correcting the habit. Now here I am, years later, making the same mistake. Despite writing a monthly editing post -and working as an editor for some years- I've never come across any tips of the trade for this error so I'd love to hear any ideas you might have. This time, I'm looking to you for tips on the Author's Craft. What a fun blogging opportunity! 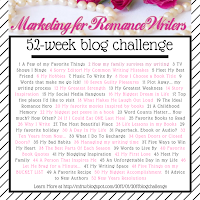 Marketing for Romance Writers (MFRW) hosts a 52-Week Blog Challenge... and I've joined in. 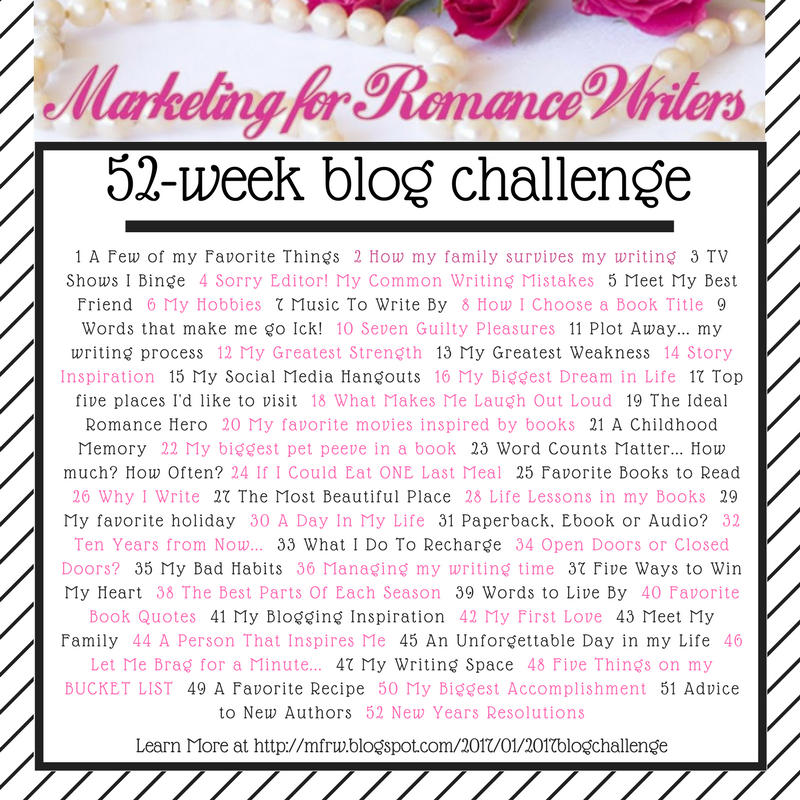 Each week, they post a writing prompt and you sign up to participate as often as possible - the ultimate goal is to do all fifty-two weeks. Follow this link if you'd like to join in!